Inessa Vinessa's travel experiences and dreams of world exploration!.. An electronic collection of post cards from beautiful journeys all over the world! Esperienze e sogni ad occhi aperti!.. La collezione di cartoline elettroniche di Inessa Vinessa e le sue memorie in giro per il mondo! 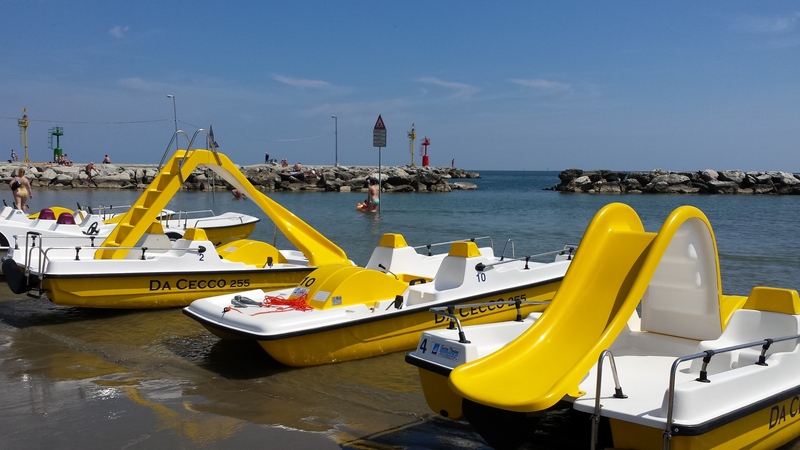 Cesenatico Web TV loving Italy and showing it off the World! The photography and direction of these images is amazing and I am super proud to be part of this dreamy project, check it and then come visit us and experience the little pleasures of simple Italian life!! Il progetto Cesenatico Web TV e Living Cesenatico sono stati lanchiati dall'associazione AMA di giovani professionisti del settore! La photografia ed immagini sono bellissimi, ci fanno sognare e medesimarsi nella vita quotidiana di questa cittadina di mare, ma guardate per voi e poi venite a trovarci qua a Cesenatico!! Here, I am presenting the world famous Port Channel of Cesenatico, designed by the great genius of Leonardo Da Vinci! Eccovi anche i video, dove ho presentato il famosissimo Porto Canale di Cesenatico, disegnato dal grande Leonardo Da Vinci! Life by the Sea and its Traditions..
And that's the way we party.. so come visit and we will have tons of fun together! E poi ci scatteniamo.. quindi veniteci a trovare e ci divertiamo insieme qua a Cesenatico! Sooo many new projects and soon to came Cesenatico Web TV .. Super Excited! This girl is ready to go!!! 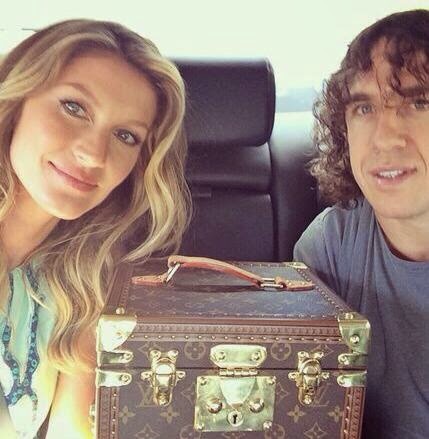 As the last two teams of FIFA 2014, Argentina and Germany, are playing for the title; the trophy in its especially made LV case delivered by the gorgeous top model, Gisele Bundchen, to the event is waiting for the winning team! The Brazilian beauty will be personally awarding the trophy to the champions!! La ragazza è prontissima!! Mentre le ultime due squadre di FIFA 2014, Argentina e Germania, stanno giocando per il titolo di campioni mondiali, il trofeo con la custodia personalizzata di LV è già stato portato sul posto dalla bellissima Gisele Bundchen! La top model Braziliana consegnerà personalmente la coppa ai vincitori!! Gisele is looking beautiful, as always, but does her outfit chosen for the event and posted on facebook, look familiar?! Ohh yes, remember, the post on LV Cruise Collection by Nicolas Ghesquière, apparently LV and Mr Ghesquière dressed not only the trophy for the event, but also the Brazilian Top Model, as one may say a 'full package deal'!! Gisele è bellissima, come sempre, ma non vi sembra fmiliare il suo outfit della serata postato sul social?! Ehh si, ricordate il post sulla collezione di Nicolas Ghesquière per LV Cruise Collection , sembrerebbe proprio che LV e Sig. Ghesquière hanno vestito non solo il tropheo, ma anche la top per l'evento e la premiazione, insomma, come si dice 'il pachetto completo'!! Adesso ci tocca solo aspettare chi sarà il vincitore..
Cesenatico.. Chi non ama la vita al mare.. Loving the sea! 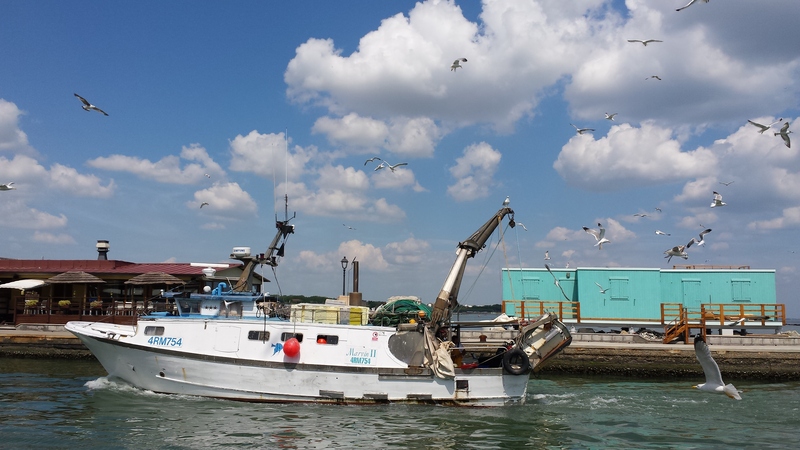 Fishermen's boat coming back into the port is assaulted by seagulls! The beach here is actually not so great (we have no white sand or crystal clear waters), but I still love the atmosphere - the smell of the sea, the boiling hot sand and inviting blue-green water, the playa music and group workouts, the colourful bathing suits and all the happy faces (have you noticed how people become lazily happy when they are on the beach)!! 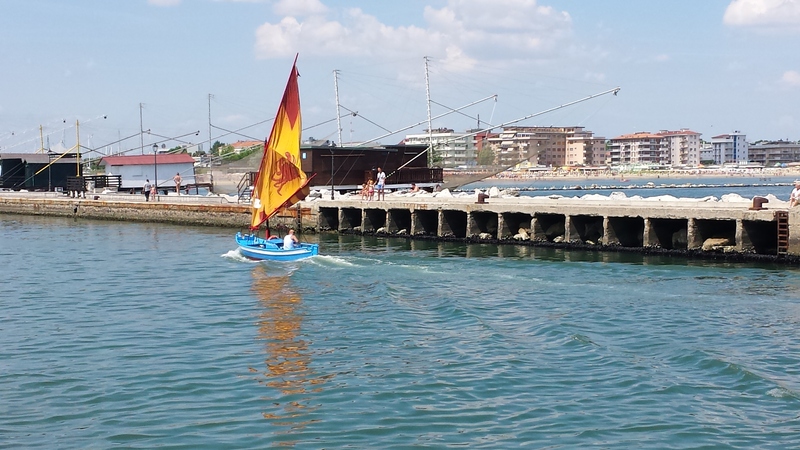 Chi è stato a Cesenatico, lo sa che il mare qua non è bellissimo (niente sabbia bianca o acqua cristallina), ma io adoro la sua atmosfera di mare con la sabbia bollente e acqua fresca, la musica e ginnastica in spiaggia, i costumi coloratissimi, le faccie felici, le mangiate di pesce, il gelato e mercatini serali!! Ever since I can remember, I always wanted to live somewhere warm and by the beach (of course I was born in Ukraine and grew up in Canada, both cold countries with barely any summer months). As a kid, I vividly remember my summer vacations by the sea, I would spend all day in the water until my fingers would get all wrinkly and purple from the cold, and my teeth would be grinding (the water in Black sea only gets so warm), but I still would refuse to get out! It was soooo much fun!! 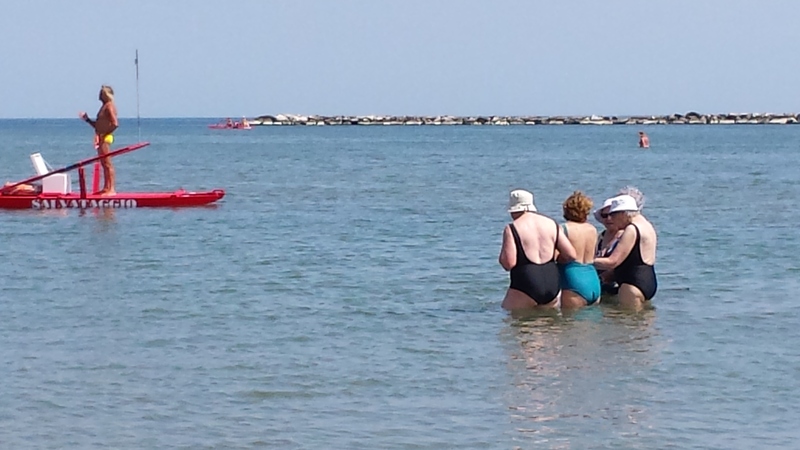 Da quando ero bambina amavo il mare e sognavo di vivere in un paese caldo (essendo nata in Ucraina e cresciuta in Canada di mesi caldi me ne godevo pochi). 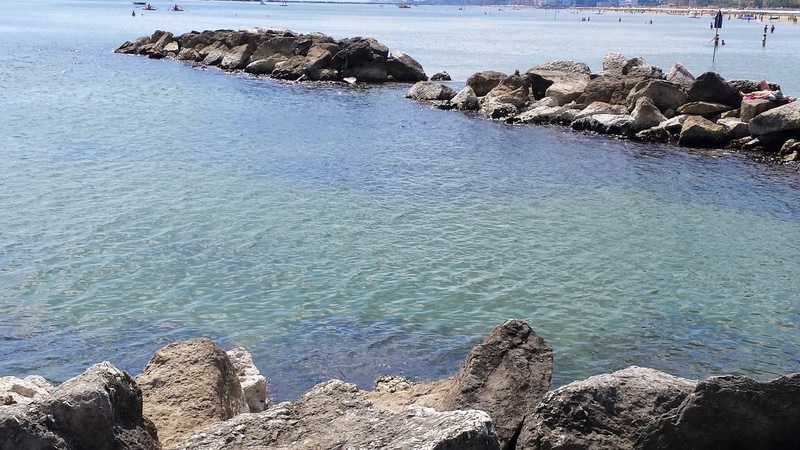 Mi ricordo perfettamente le vacanze estive, che passavo sul mare Nero e miei bagni infiniti! Erano fantastiche!! Yellow water rides, it's absolutely my favorite colour this summer! Inessa Vinessa for Voyage Baggage. Watermark theme. Powered by Blogger.